use kits as well....C u there!!! and have a Blessed Day. Click on the preview or here to get it. So sorry to hear about your aunt, Leaonna; she will definitely be in our thoughts and prayers! I've Added your Great Aunt to my prayer list also you & your family!!!!!!!!!!!!!! TY so very much for the FAB grab bag!!!!!!!!!!!!!! Your aunt is in my prayers, sweets. Bless you. Thank you for the goodies. CU Freebies Only Blog on Thursday December 3rd 2009! 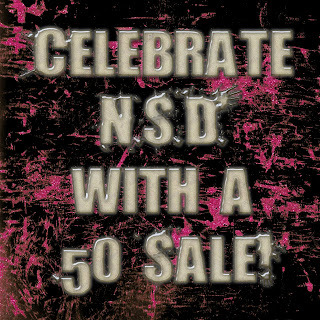 .50 Sale Again and ALL New Products Almost LOL! !